I found the quote, “A Best Friend is like a four leaf clover, Hard to find and lucky to have” online, author unknown. It made me think about true friendship. We all have friends that we hang out with but what about the ones who we can go to during our darkest times? You know the ones who we can just be ourselves with and know they will not judge us. They are the ones who want nothing from us but only want the best for us! I have to be honest and say that my best friend is my husband. He is one who loves me for simply being me… and all that entails 🙂 When I feel low he is always there to lift my spirit with encouragement. He is the calm to my storm, the light in the dark times, and the rock in life’s unpredictable journey. He has shown me that real beauty is what is reflected in his eyes and not in a mirror. Respectful, humble, and caring, are all words which describe my best friend. I think it was a little bit of luck and a lot of fate that made our paths cross. I am very thankful for Dave and feel blessed to not only call him my husband but my best friend. 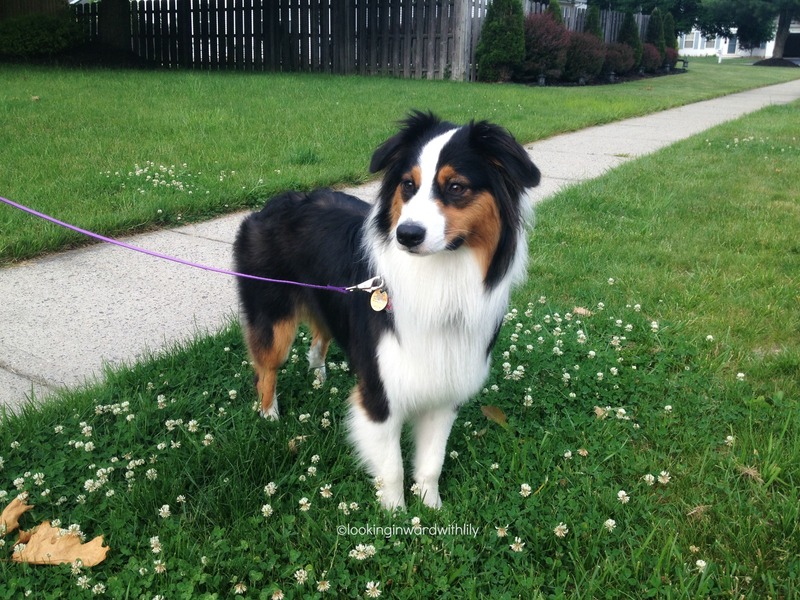 This entry was posted in Family, Photography and tagged Australian Shepherd, Best friend, Caring, Clover, Family, Humble, Inspiration, Love, Nature, Pets, Photography, Respect, Thankful. Bookmark the permalink. Makes a mother feel so happy that her son is so cared for. Happy he found you! Love you both. The apple doesn’t fall far from the tree! He has two wonderful parents as role-models. Love you too! What a lovely post! It warms my heart to read about the affection you have for your husband! As I’ve gotten older I’ve really discovered the difference between friends and acquaintances, and that has made me appreciate and nurture my true friendships. Thanks Kate! He’s a keeper 🙂 I agree with you about the difference between friends and acquaintances. As we get older we also get a little wiser! PS love the picture of Dakota!